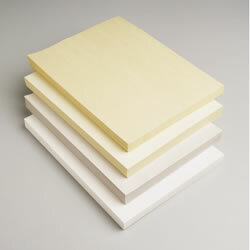 High performance paper masking tape is designed to be used in the medium temperature paint baking operation. 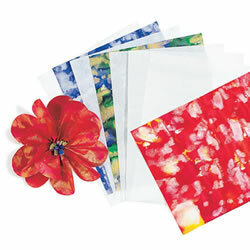 Smooth crepe paper tape that is treated with a heat solvent-resistant coating. Features a 3" core. 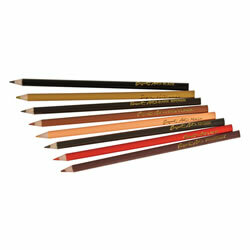 Includes primary and secondary colors and a soft bristle brush in a peggable box. 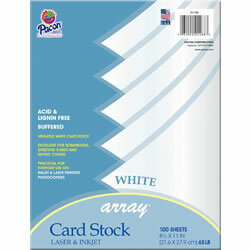 Formulated to remove easily from fabrics and surfaces. Certified AP non-toxic. Made in the USA. Stock the classroom! 60 yds per roll. Tan color. 3/4". Twist them, bend them, shape them...then add buttons and beads for even more fun! 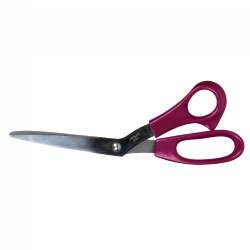 12"L stems in assorted colors. 100 pack. 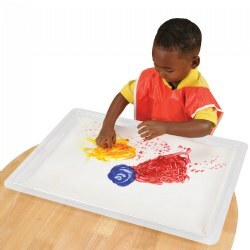 Plastic trays give each child their own washable semi-moist color palette. 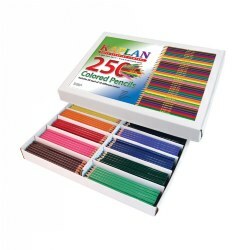 This set includes 12 trays of 16 watercolor paints. 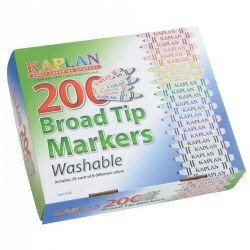 Create clear markings and erase completely with this anti-dust chalk! 12 boxes of 12 sticks. Stick size: 3 3/16" x 3/8". 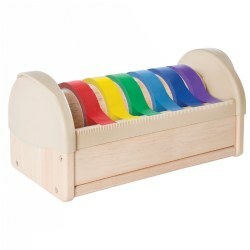 Great for inspiring little artists! Natural white boar bristle brushes with chubby plastic handles and a nickel-plated band. Measure 7 1/2"L x 5/8" diameter. 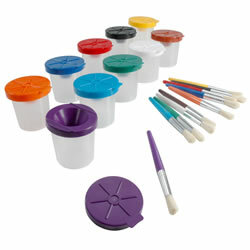 Ten 3 1/2" non-spill pots have inner safety lid, brush rest, and colored caps with matching color brush handles. Cap colors include red, green, black, white, yellow, dark blue, orange, purple, brown, and light blue. Paint not included.